Police said they arrested Angela Hill, 29, for a driving under the influence on Interstate 99 in Benner Township on Feb. 13. An inmate allegedly grabbed a corrections officer’s wrist at the State Correctional Institution at Benner Township on Feb. 21. The assault investigation is ongoing. The police said they are investigating an assault between two inmates at SCI Rockview on Feb. 28. After a traffic stop, police said they found a 20-year-old Reedsville woman to allegedly be in possession of a controlled substance on North Harrison Road, Spring Township, on March 6. The investigation is ongoing. Police said an inmate at SCI Benner was found to be in possession of a sharpened piece of metal during a search March 23. The investigation is ongoing. A 36-year-old Moshannon man allegedly fled on foot from a crash on West Sycamore Road, Snow Shoe, on March 16, according to police. The investigation is ongoing. SCI Benner inmate Tyrone Betrand is accused by police of being in possession of a controlled substance on March 22. The investigation is ongoing. Police said they are investigating an incident at SCI Rockview where an inmate was located with suspected suboxone during a cell search March 25. The investigation is ongoing. An item was found with a sharpened piece of hardened plastic during a person search April 1, according to police. The investigation is ongoing. Police received a report of criminal mischief after an unknown person shot at a property along the Benner Pike, Benner Township, causing damage between April 3 and 4. Police responded after Michael Detwiler, of Bellefonte, crashed into a perimeter fence at SCI Benner along the Benner Pike on April 4. The crash caused functional damage. No injuries were reported. Police said they are investigating an incident of indecent assault in Haines Township at an unknown date. A 42-year-old man from Port Matilda attempted to purchase a gun from Belding and Mull, Rush Township, on Nov. 27, but was denied after a background check. The police said the investigation is ongoing. Police said they are investigating after a 4-year-old boy allegedly hit an 11-year-old girl with a stick, causing a bruise, at 518 State St., Rush Township, on March 18. The investigation is ongoing. After a traffic stop on Halfmoon Valley Road, Halfmoon Township, on March 31, police said they found a 47-year-old woman to be under the influence of alcohol. Charges are pending blood alcohol testing results. Police responded to domestic dispute at 324 E. Laurel St., Apartment 1, Philipsburg Borough, on April 1. No further information was provided. Police are looking for a lost backpack that is believed to have fallen out of a vehicle between the YMCA and Cherry Street in Philipsburg on April 3, sometime between 5 and 6 p.m. It is a navy blue Under Armour backpack with a laptop and school books inside. If anyone finds these items, police ask that they be returned to them at the barracks, or the finder can call (814) 342-3370. After responding to a domestic incident on Howard Street, Rush Township, on April 4, police said they discovered that a 45-year-old Osceola man pushed a woman and slapped another during an altercation at a residence. The man has been charged with two counts of harassment. Police report that Cindy Vasquez, of Philipsburg, failed to scan several items at Weis Market in Philipsburg and concealed the items in her purse April 5. The total loss from the alleged theft was $31.95. 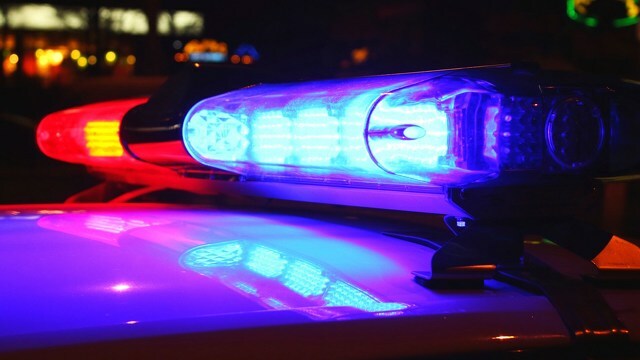 Police said alcohol or other controlled substance may have been a factor in a crash on South Eagle Valley Road, Union Township, on April 6 at 2:15 a.m. The crash occurred after a 52-year-old Williamsport man was traveling south when he failed to navigate a turn and crossed the center line. The vehicle traveled across the road until he hit a parked car causing major damage to his vehicle and minor damage to the parked car. The driver was taken from the scene by Bellefonte EMS. The investigation is ongoing. Police said that Shelby Howard, of West Decatur, and Logan Knipple, of Philipsburg, got into a physical altercation during an argument on Presqueisle Street, Philipsburg, on April 9. Police said that Knipple broke Howard’s cell phone and was charged with harassment and criminal mischief. Howard was cited with harassment and underage drinking.